In his January budget message, Gov. Shumlin announced a new source of tax revenue to help fill the ever-gaping Medicaid budget deficit ($55 million in Fiscal Year 2017). This game began in 1991. In that year the legislature (ill-advisedly) bought into a Massachusetts-invented scheme called “MediScam”. The Federal government matches state money raised to fund Medicaid. The matching percentage (called FMAP), is approximately 55% for 2017. The scam came in when the state levied a “provider assessment” (tax) on hospital net patient revenue, and similar assessments on nursing homes, home health agencies and Intermediate Care Facilities, to produce its 45%. At the same time the state promised the providers that they’d get back their “assessment”. Then the state could spend the remaining 55% as “free Federal money” to keep Medicaid afloat. When MediScam threatened to produce a Treasury raid by the states, Washington capped provider tax assessments at 25% of state Medicaid expenditures. The $17 million of new assessment revenue will put Vermont at 97.565% of the Federal cap. This is the “free federal money” that Shumlin says has been “left on the table” by Vermont’s failure to maximize its taxes on its health care providers. The new tax would fall on independent primary care doctors, dentists, osteopaths, psychiatrists, naturopaths, and (certain) specialists. Of the $17 million Shumlin expects to collect from the doctor-and-dentist tax, $12 million, matched by $26.3 million in Federal funds, will be used to partially fill the annual Medicaid deficit hole. A total of $8.4 million will be used to increase Medicaid primary care reimbursements, and $1 million will increase Medicaid dental care reimbursements. Doctors and dentists who have no Medicaid patients will have to raise their charges to private patients to pay the new tax. Because they’re independent, they cannot effectively bargain with health insurers for increased reimbursements. That means the providers are likely to have to absorb the provider tax. An independent Burlington psychiatrist, Robert Emmons MD, who treats Medicaid patients at no charge at a free clinic, writes “I cannot recoup the tax in the form of higher Medicaid reimbursements. If the Governor’s proposal is enacted, the entire 2.35% tax will be passed on to all my patients, along with the administrative cost, so it is really an illnesstax, not a physician tax”. What seems clear is this: there is an immediate, desperate need to pay for constantly escalating Medicaid costs. But beyond that, there is a need to drive independent doctors and dentists into the employ of large scale health care institutions, organized into an all-inclusive Accountable Care Organization. Then Shumlin’s promised “All Payer” system – his latest invention to succeed his abandoned Single Payer plan – cannot be thwarted by independent doctors and dentists dedicated to serving their patients at reasonable prices, prices that don’t include the inflated “facility fees” added on by hospital-owned practices. A major concern with grand Single Payer or All Payer health care schemes is that falling reimbursement rates will cause doctors and dentists to depart the state. The Hsiao Report of 2011, that formed the basis for Green Mountain Care, allocated $50 million of the enormous expected savings to pay doctors not to leave. Shumlin’s doctors-and-dentists tax won’t pay them not to leave. It will tax them for staying. 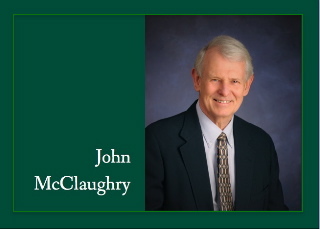 – John McClaughry is the founder and vice president of the Ethan Allen Institute (www.ethanallen.org). I’m worried about Vermont’s efforts to take over Medicare. Vermont has proven beyond a doubt that it is not good at this! We older residents who are happy with our current plans don’t have time to wait for the state to get it right! I don’t want to move away, but this could force the issue.